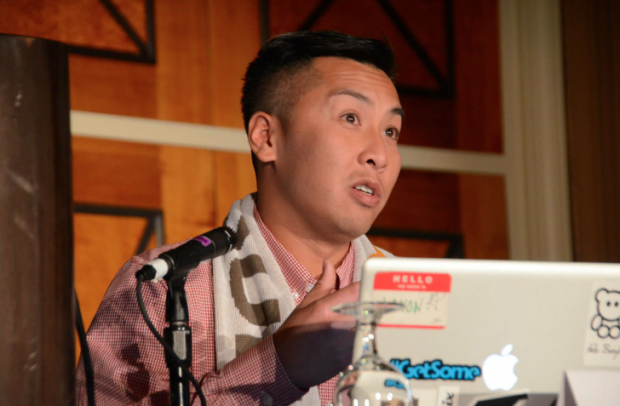 Jaxon Lam is HootSuite’s Affiliate and Search Specialist. He recently returned from The Affiliate Summit, a three-day performance marketing conference geared at creating a productive networking atmosphere and educational sessions for marketers. The conference recently took place at Caesars Palace in Las Vegas, Nevada. Here are Jaxon’s takeaways from the event, in the form of 3 social media tips for his fellow online marketers. No matter where you are, you can stay connected to your business and networking efforts. Leading up to and during ASW13, I noticed that only a small number of people were consistently appearing in my search stream of the #ASW13 hashtag. With almost 5300 people in attendance and 4593 Tweets, there were only 889 unique #ASW13 “Tweeters” and many of those did not post unique social content, but rather retweeted other delegates. This was a missed opportunity, especially for such a connected audience. Creating lists and streams to monitor event hashtags and search terms is a great way stay in the know of event updates and also to interact/engage with people that you want to meet or have conversations with. Your business does not need to be put on hold just because you’re away from your desk. Proactively listen, but also engage with your community, by setting up lists and keyword streams in HootSuite, and replying where you see opportunities. Respond and interact with your tweeters as well as your brand’s Facebook community in a timely manner, and take a non-salesy approach to your social media campaigns. While being an active “social media’er” is a good thing, broadcasting offer after offer, advertisement after advertisement is not. Far too often, affiliate and online marketers are using social to only post deals or offers, the same deals and offers that their competitors are posting as well. What does your company stand for? What makes your company different from the others? This is where social media becomes such a value add resource. Providing valuable social content (links to useful articles, blog posts) that relates to you brand and building a loyal community will go much further than naked ads. In other words, focus on differentiating your brand from the competition and supporting your community; the conversions will take care of themselves. 3. Schedule Strategically, Not in Volume! 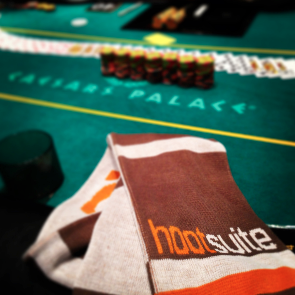 These days, using HootSuite is “table stakes” for your marketing efforts. Managing more than one social network at a time can be a bit daunting and take up a lot of time. With our lives moving at hyper-warp-light speeds, time management/efficiency has never been more important. Thankfully, there are various tools to help us be more efficient with our daily lives and for social media, one of those tools is message scheduling. Bulk scheduling messages can be tricky since scheduling too many messages, especially of the advertising variety, can appear as “spammy.” Finding that balance in your scheduled message content and frequency is where the true value lies. Schedule valuable conversational/thought leadership type messages/links during times of the day that you dedicate to checking your social networks to ensure that you can respond and thank those that have questions, RT or mention your messages. Remember, scheduling is there for us to make our social networking lives easier, not to as an alternative to mass email blast. HootSuite is a social media management system that allows you to monitor, measure and interact with social media. Try one of the HootSuite mobile apps, and stay connected on the go. You can also access the HootSuite dashboard on your desktop from anywhere, on your browser of choice. Want to connect with Jaxon about affiliate marketing? Like any great marketer, he has set up a landing page for you here. Jaxon is HootSuite’s Affiliate Specialist and he successfully grows HootSuite’s affiliate program by making creative, data driven decisions.